"The Lounger." 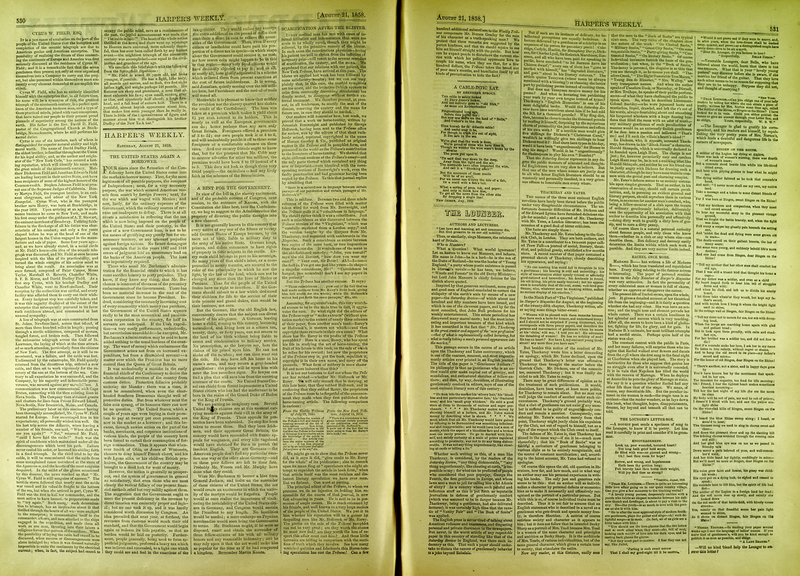 Harper's Weekly Volume 1858. August 21(1858): 0531ad.